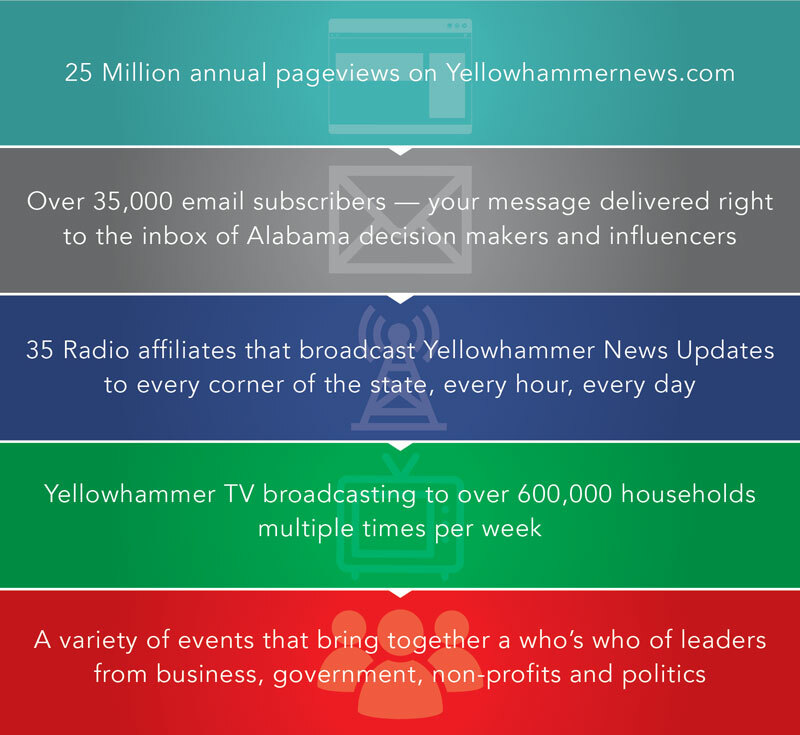 What Can Yellowhammer Do For You? Our audience is engaged and our platforms are vast. No matter where your desired audience is in Alabama, we can reach them. Our website, radio, social media, tv, and event platforms allow for a variety of message strategies to be deployed at once. We deliver your story, effectively, across the state. Contact us today to see what YELLOWHAMMER can do for you!